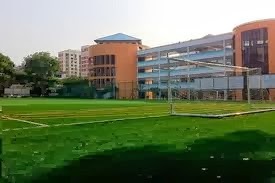 Hua Yi Secondary School is located at 60, Jurong West Street 42 in Singapore 649371. It is enclosed within the Jurong West Region. Jurong is situated at the western section of Singapore. It is one of the largest resident population in Singapore. Nearest MRT is Lakeside MRT and the closst bus interchange is Boon Lay Bus Interchange. Amenities in the area include Taman Jurong Shopping Mall,NTUC Fairprice and Sheng Siong Supermarket. Some of the schools close by are Shuqun Primary School, Yuhua Secondary School and Hong Kah Secondary School.